puff up like a toad. This entry was posted in Haiku 2015, Photographs, Ranch Journal and tagged Garter Snake, Toad, weekly-photo-challenge. Bookmark the permalink. Now that is one ugly creature . . .
Yuk! Is it eating a lizard (top left)? Water snake trying to eat a toad. John, great interpretation of this week’s photo challenge. 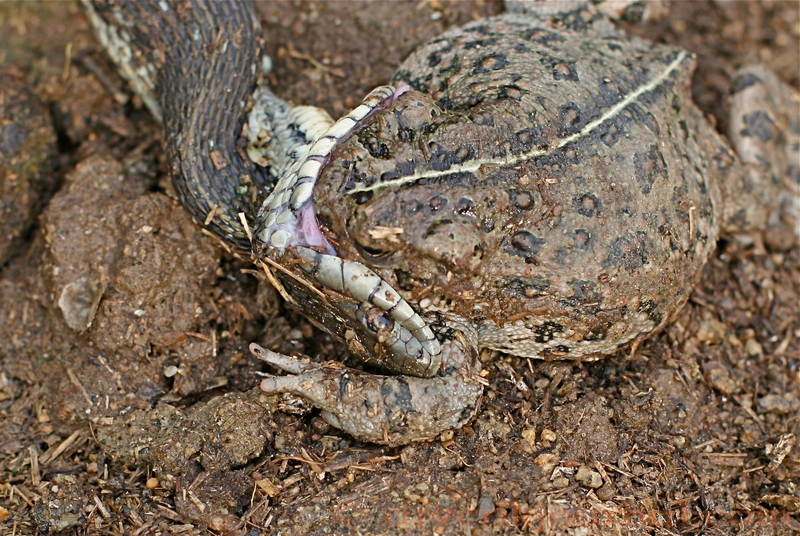 Snake eating the toad. Who do we hope wins? They both do so much good and have their place. Is that a gopher snake or a toad snake? Did the toad escape?? Hell of a day. One of those ambitious miscalculations. The water snake finally had to give up and the toad survived, both were big.